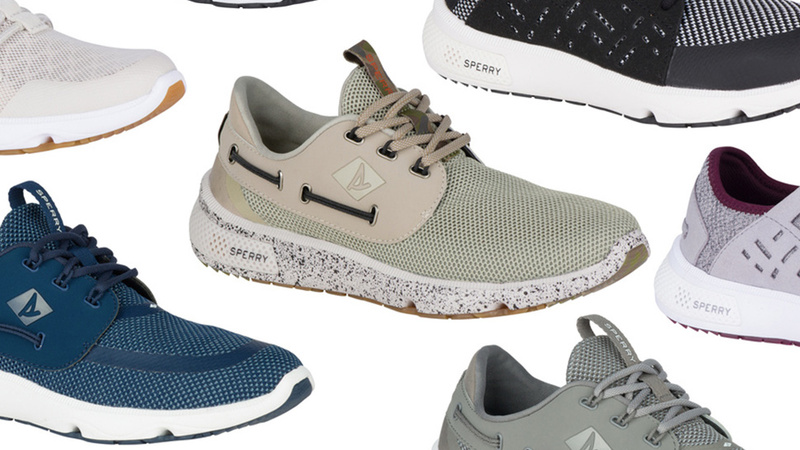 How to play along while staying cool this season. 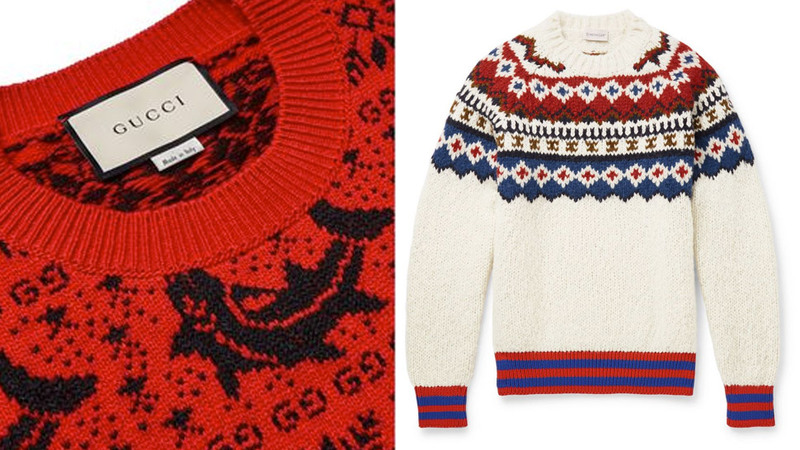 Look, we're far too deep into the irony cycle of Christmas sweaters—right now we might be at post-post-post-ironic appreciation, or possibly post-post-post-post-ironic—to debate whether they're excruciating in their self-conscious wackiness or just a bit of fun for you office Christmas party (in truth: probably both). The social engagements in which you're encouraged to wear one, however, aren't going anywhere fast. So what to do? 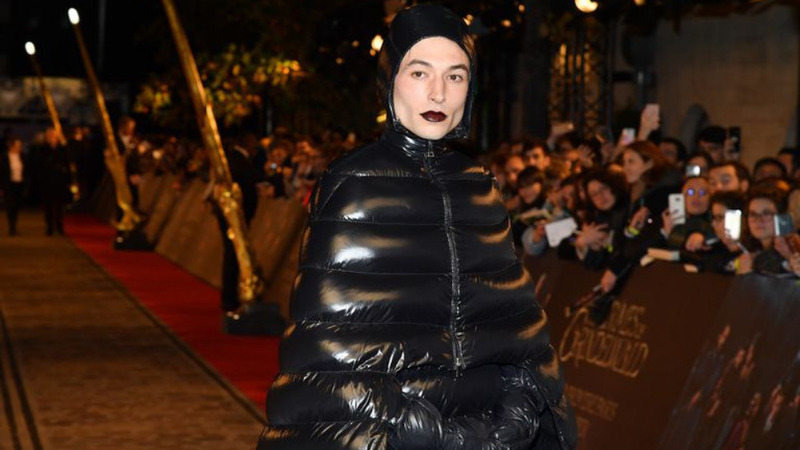 Opt for something that qualifies as 'Christmassy' while also being stylish, of course—thus enabling you to 'take part' while still being one step ahead of the idiot who bounds into the pub on December 1 with reindeers dangling off his chest, waiting for hilarity to ensue. 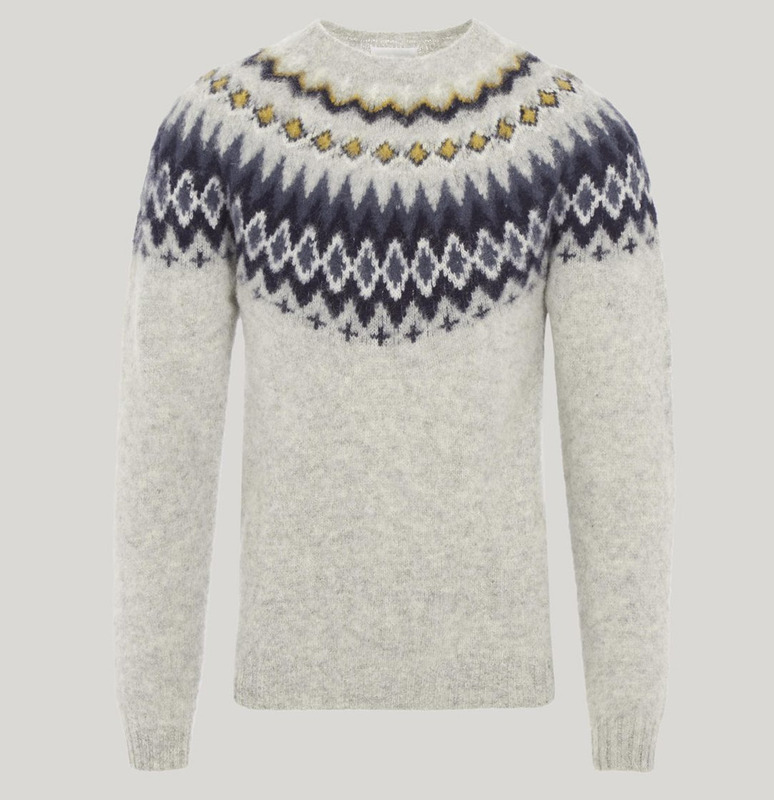 Your classic Fair Isle knit has all the associated bonhomie and snugness of a Christmas jumper, without any of the naffness. The young Edward VIII popularised the look in the early 1920s, though you might want to avoid his other big vibe—inducing a constitutional crisis and having to abdicate the British throne—should the situation arise. 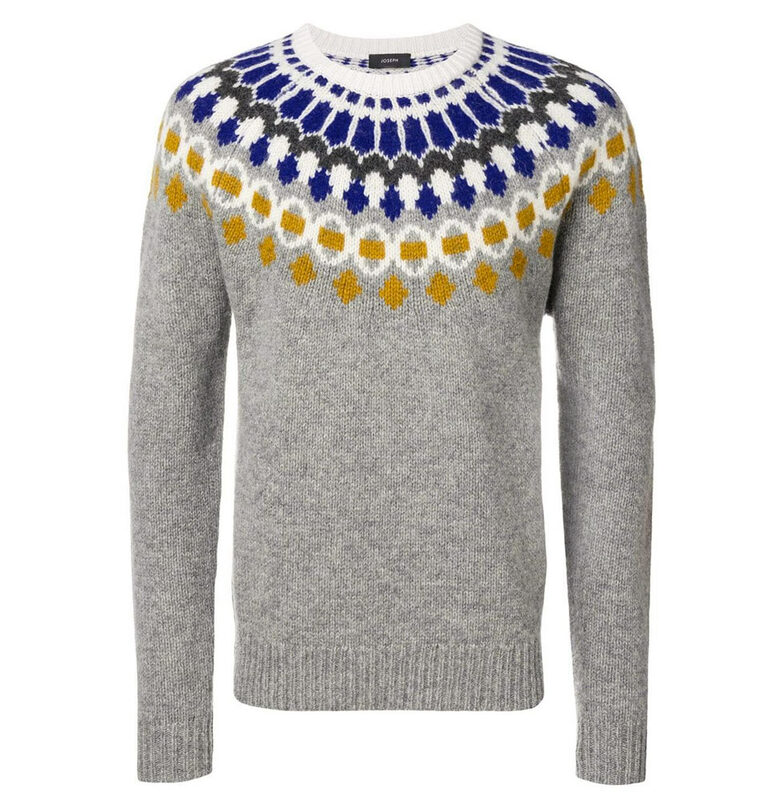 Another Fair Isle-indebted design, but this time with some Scandinavian economy and clarity added to Scottish lambswool from one of the trendiest brands around. 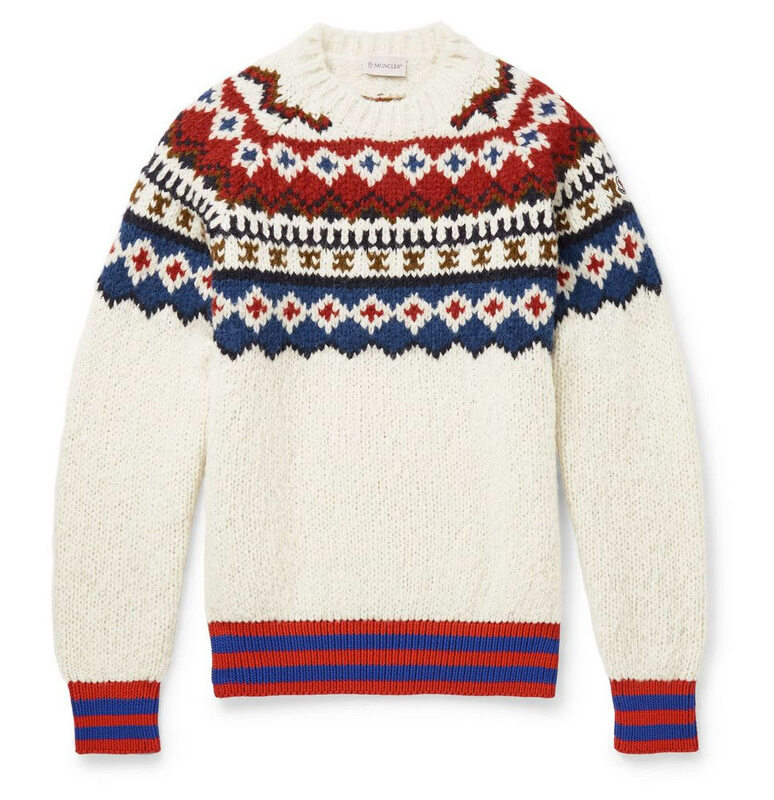 This satisfyingly chunky knit came about when Acne's founder Jonny Johansson asked some 14-year-olds to sketch some ideas for designs. And people say child labor's a bad thing. 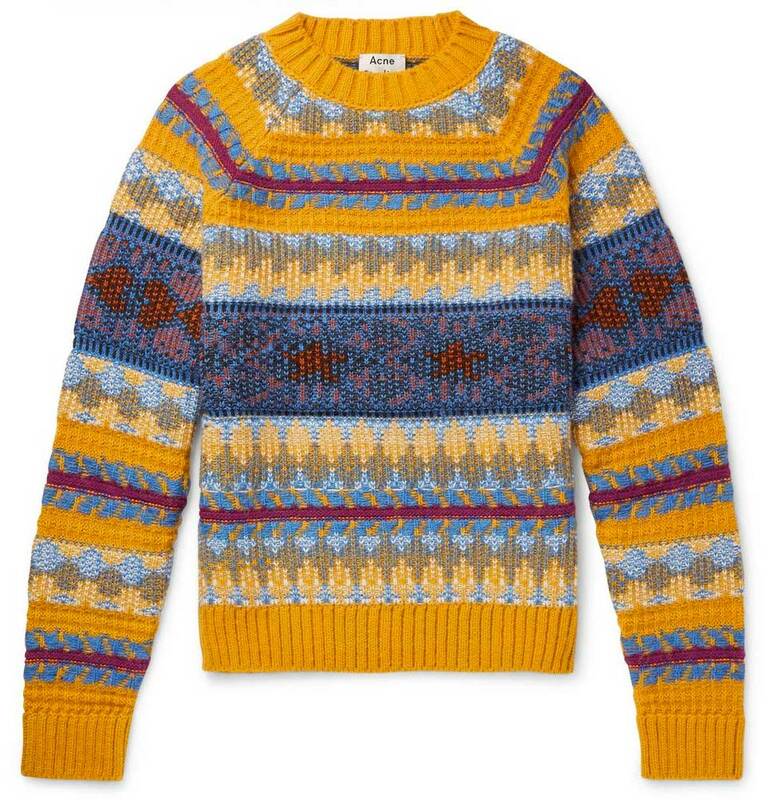 Another spin on the Fair Isle template, this jumper from Joseph updates it by simplifying and modernizing the patterns and going for a looser, oversized fit. 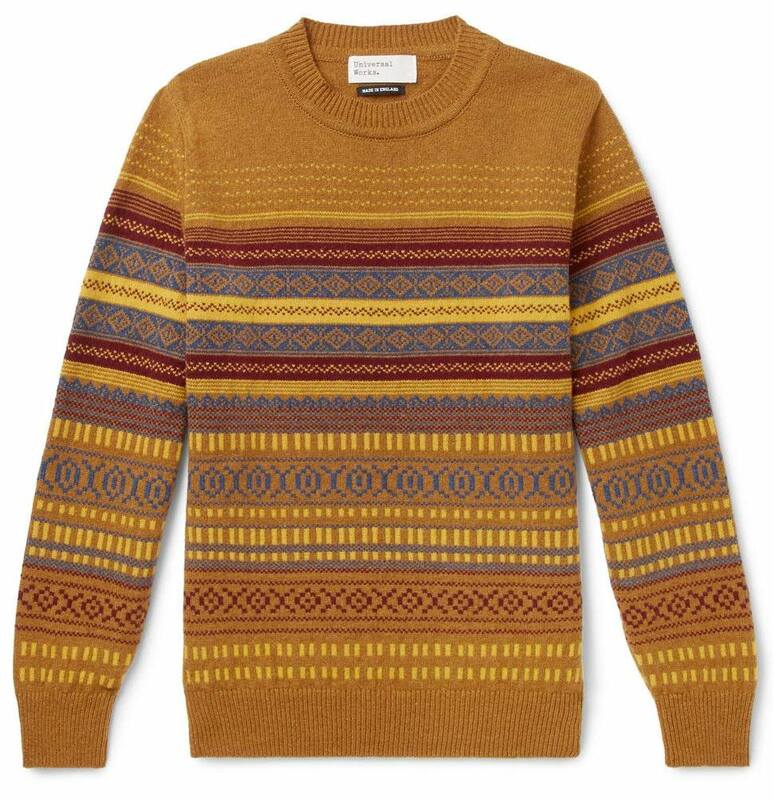 Less splenetically patterned than your average seasonal sweater, and sticking with a more autumnal mustard tone for the base keeps the whole Christmas jumper thing at arm's length too. 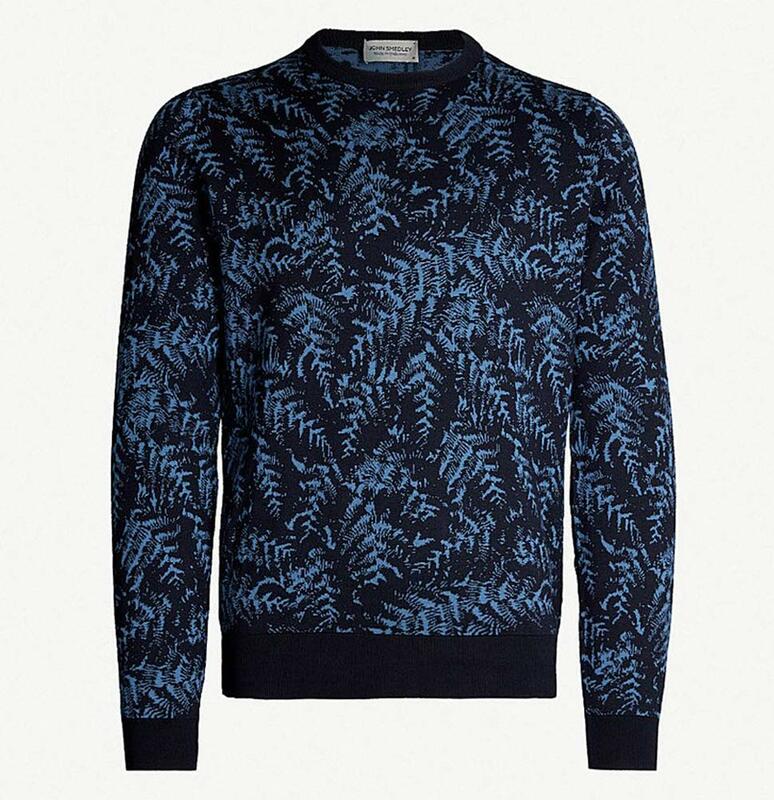 This one gestures toward Christmas slightly more abstractly: Its print of frozen ferns could easily be the frost on a windowpane on a crisp December morning. 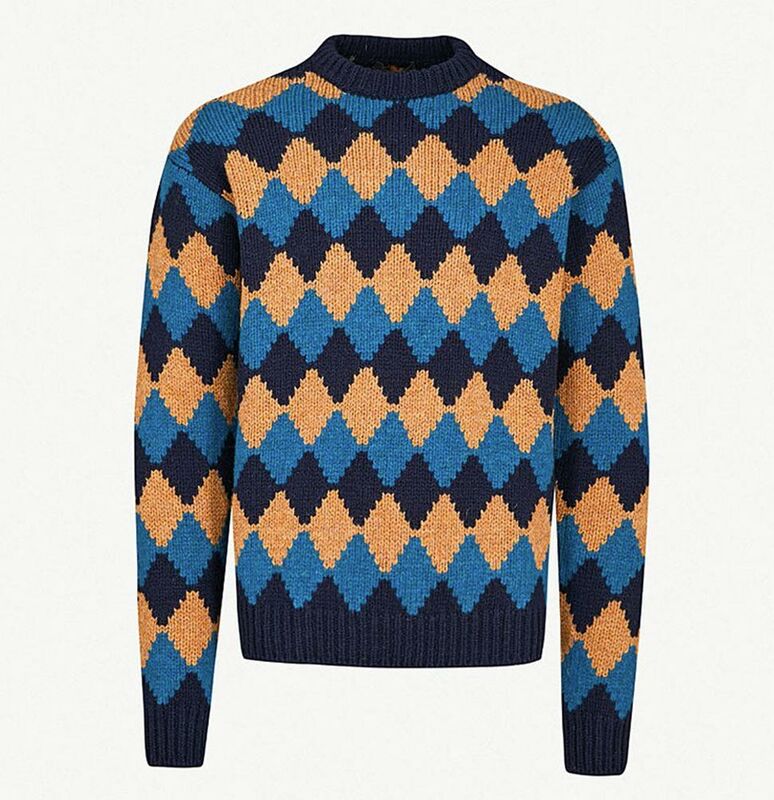 This is a near bit of sleight of hand: It's got the diamonds and lateral patterning of a classic Christmas jumper, but actually looks great. 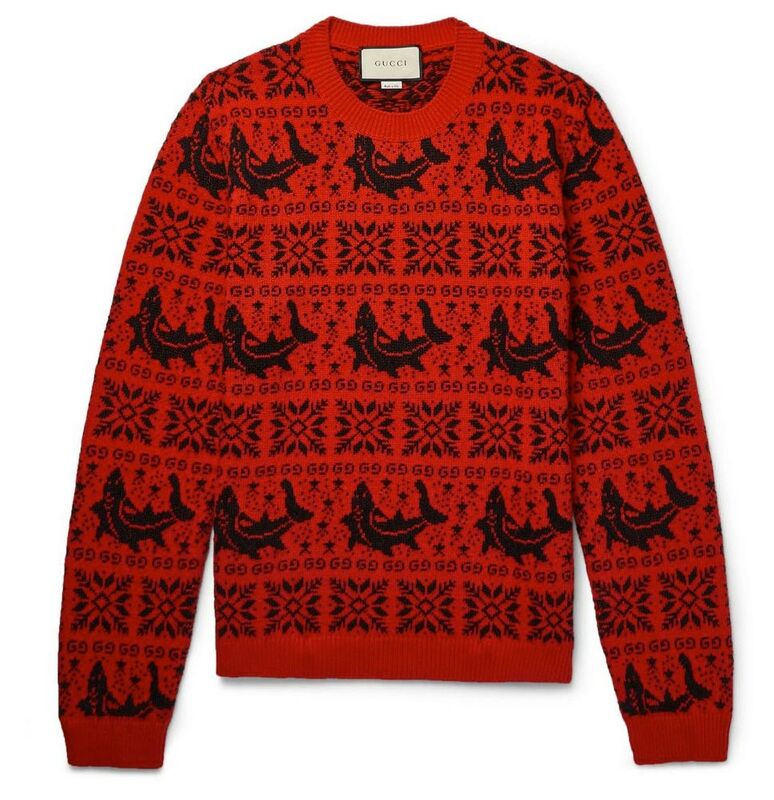 Nothing says 'I'm going along with this Christmas jumper thing because I recognize that this is a time for conciliation and friendship but I thoroughly disapprove of it' quite like a jumper decorated with sharks. A very metal Christmas to you. 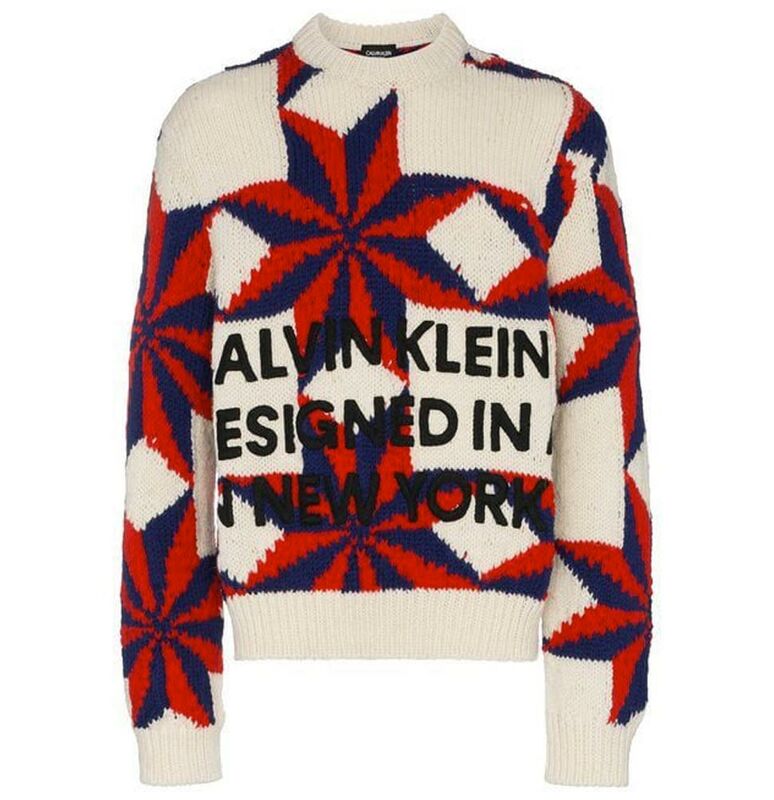 Blowing a single kitsch detail up into a big print gives Calvin Klein's jumper a fresher feel without jettisoning the traditional Christmas touchstones completely.